Fall isn’t complete without a new TV lineup of far-fetched shows. But this season is different. 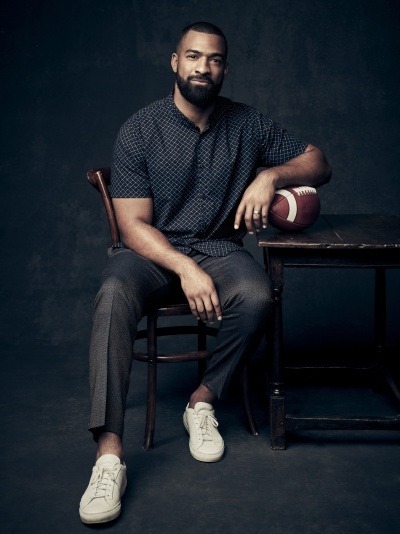 The CW Network launched All American, based on the experiences of Spencer Paysinger, who grew up in South Central Los Angeles and played football for predominately white Beverly Hills High School. 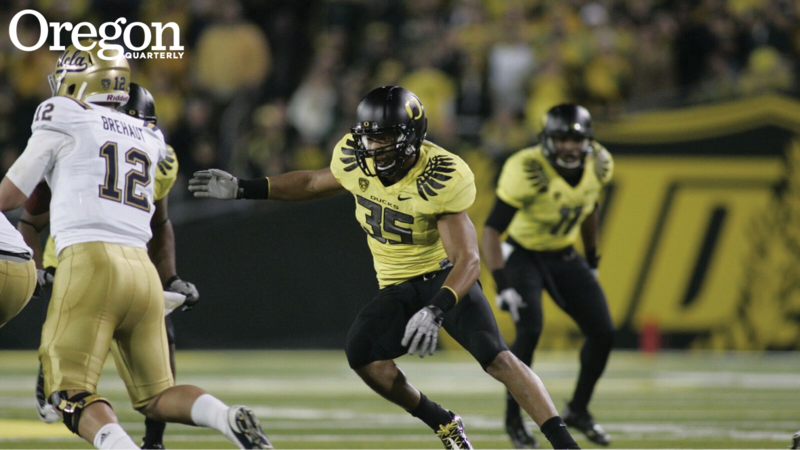 Spoiler alert: Paysinger made it through high school and found his way to the UO as a standout player. While the show is inspired by his high school career, the life story of Paysinger, BS ’10 (economics), is one of courage: courage to be an outsider in high school, courage to become a linebacker in the NFL, and courage to dive into the cutthroat world of Hollywood to tell his story. The show follows Spencer James (Daniel Ezra) as he struggles between two worlds. But Paysinger's life story is even richer than the show's plot. He credits his parents with setting him up to feel comfortable even in the most uncomfortable situations. From the time Paysinger was 13, they knew he would be better served at Beverly Hills High and worked continuously to gain his admission. “It was culture shock to say the least,” he says. “But it’s easy to call out the dangers of South Central LA and ignore the ones Beverly Hills had. Although different, the drugs, violence, and affluence created a different set of problems at Beverly. Paysinger won a UO football scholarship in 2006 and played linebacker through 2010, distinguishing himself as a two-time Pac-12 honorable mention. He signed with the New York Giants and helped them win the Super Bowl in 2012; he also played for the Miami Dolphins and Carolina Panthers before retiring in 2017, at 29 years old. The timing worked for Paysinger, who sees football not as an end, but a beginning. Hollywood is the next chapter. The opportunity with CW almost fell into his lap. Paysinger hadn’t previously pitched TV shows or other ideas. After writing for a few years, Paysinger got in touch with a friend in Hollywood who had played for a rival high school. They realized Paysinger’s story might have broad appeal; through several serendipitous connections, Paysinger pitched a summary of his high school life to a Hollywood producer, and a call from Warner Brothers followed. Paysinger is a consultant with All American, working in the writers’ room and on-set, shadowing directors and ensuring that the show sticks to the storyline he originally pitched. As for his football days, Paysinger isn’t looking back. The UO Alumni Association, LA Ducks, and Black Alumni Network host an evening with Spencer Paysinger in Los Angeles Thursday, February 7. For info, visit uoalumni.com/events.